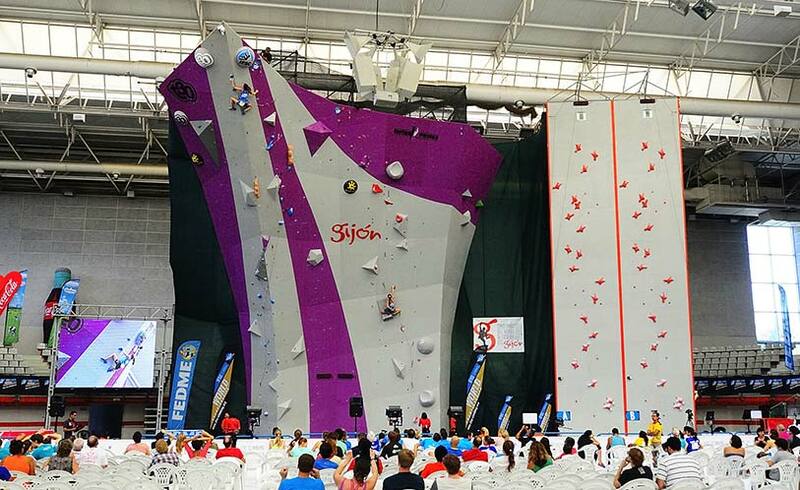 Competition and speed walls are specifically tailored to the requirements of competition climbing, at any climbing standard (regional, national or international) and for each of the three disciplines: Lead, Bouldering and Speed. Entre-Prises has always been heavily involved in competition climbing, and is the official supplier of climbing walls for the International Federation for Sport Climbing (IFSC), and a partner to many national federations (Climb Britain, USA Climbing, FEDME, and others). 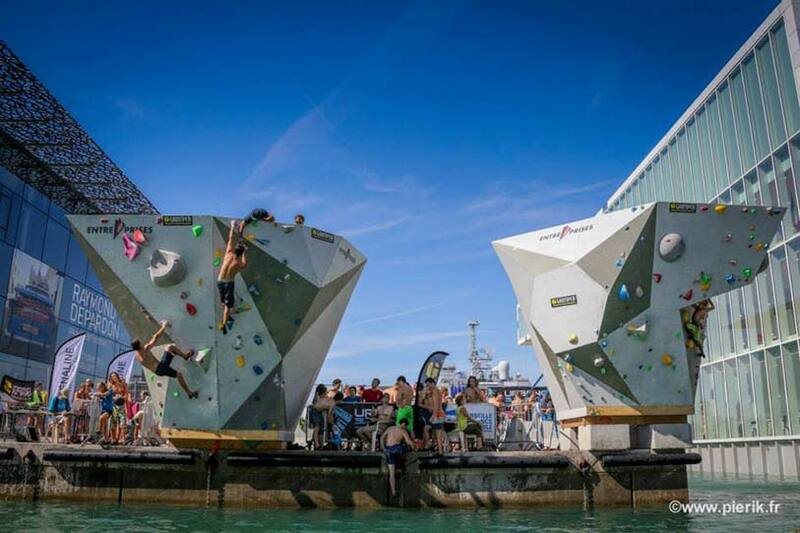 We have gained solid experience and genuine expertise both as a supplier of structures (2016 IFSC World Cup in Villars, 2014 IFSC World Championships in Gijón, 2012 IFSC World Championships in Bercy, Natural Games, Deep Water Solo in La Rochelle and Exeter) and as an organiser (organising Spanish national competitions). Entre-Prises is IFSC certified for the manufacturing of Speed Walls. 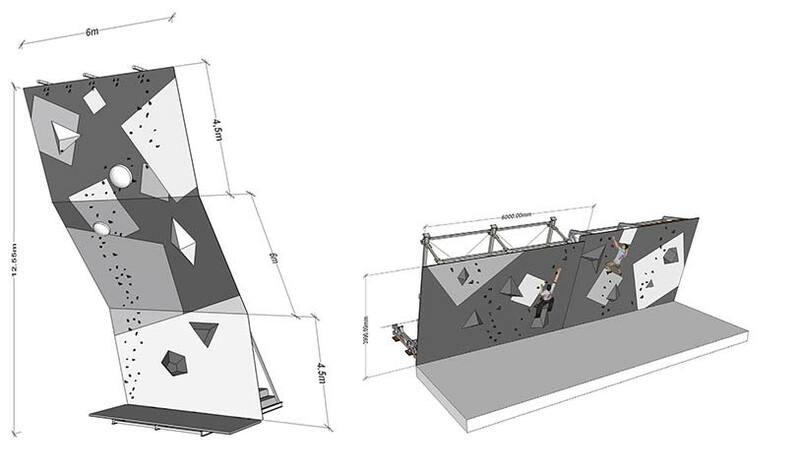 Wall design offering a high degree of flexibility for route setting and use of macros. 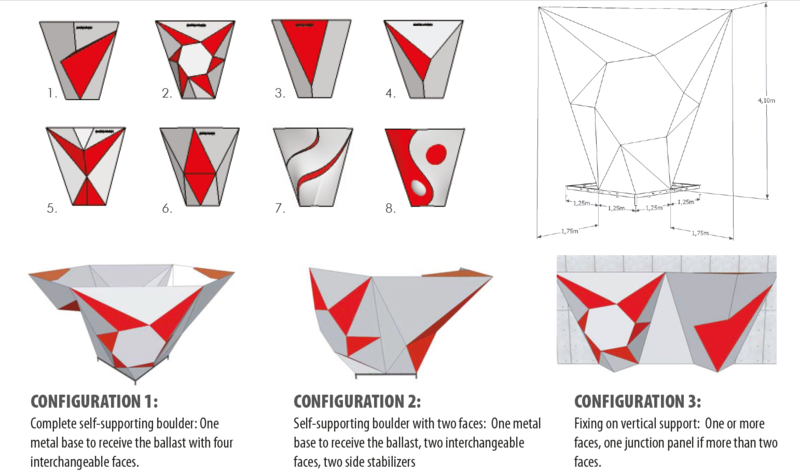 MozaiK 3D curves for both creativity in the wall and flexibility in route setting. Varied profile (vertical, overhang, roof, etc.) 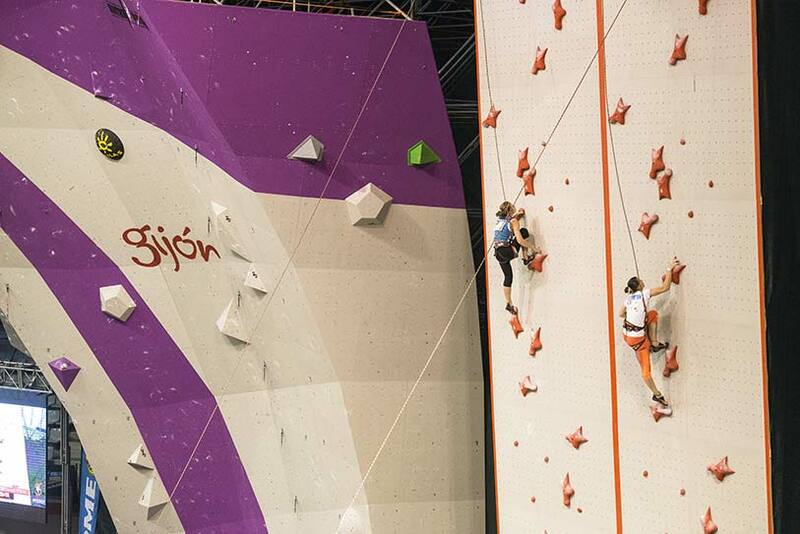 to test various skills in competitors and enhance interest for climbers. Be aware of graspable angle changes that could create artificial holds – opt for closed edges where possible. 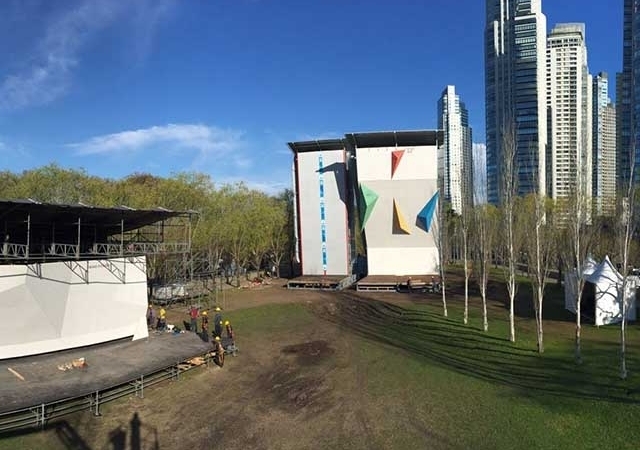 For temporary structures, a design that enables fast, optimised installation and take-down. Accessibility for climbers with disabilities and reduced mobility. Special colours to create imaginative designs and boost visual impact. Printed or textured logo to showcase the event and any sponsors. Closed edges for clean lines and a modern look, and to minimise graspable angle changes. Additional inserts to increase options for route setting. Wood and polyester Macros to vary routes and meet requirements for competition route setting. Bolt-on Holds to “fill in” routes or boulders. Polyurethane is the preferred material for holds that are attached and removed frequently. Timing: Entre-Prises offers two timing systems. A simple manual system to be used on a single line, and a second IFSC-approved system for timing two lines simultaneously. For world records, the use of timing systems and holds is mandatory.